A sweat-wicking jacket for dry comfort and keeping out the chill. This men's jacket keeps you warm and dry so you can take on the chill of an early-morning run. 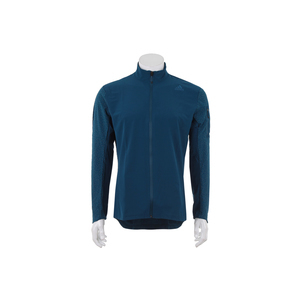 Made of moisture-wicking fabric, the jacket gives you quick-dry comfort as you work up a sweat. The full-zip front and stand-up collar provides adjustable coverage on the go and the thumb holes add extra warmth. A zip sweat-guard pocket helps keep small items dry and close.